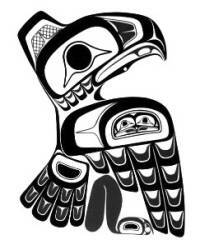 Totemic animals of Northamerican peoples. 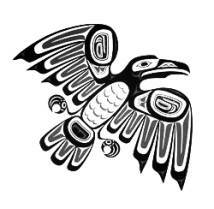 The Haida people live on the Northwestern coast of the American continent. 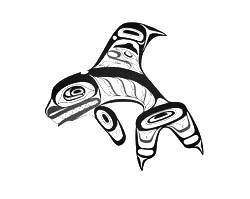 Like Tlingits, and more generally like all the people which preserved in their culture their own tribal roots, Haida are divided into clans, each represented by one or more totemic animals, whose spirits protect those who belong to the clan, and which represent the bond between the members of a clan and the animals themselves. Wealthier and more important clans can have several animals, and have them available as they like, while songs and legends exist explaining how the bond was created and acquired. 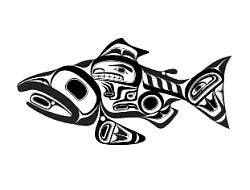 The Haida people in particular worked out a precise decorative style, well known and appreciated, in order to decorate their houses, canoes and for tattooing their protective totemic animals. 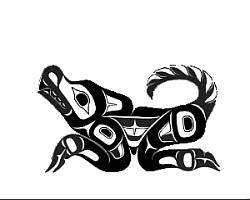 Most of the times totems are related to animals, and they are ascribed with magical properties and virtues, always carrying a teaching to men through the clan´s stories. Their simple and accurate beauty and their inner meaning make them great tattoos. 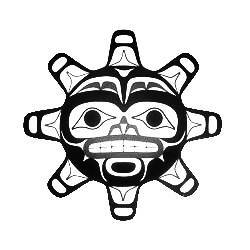 A search on Google can help you find informations and designs you can use as a trace for your own haida-styled tattoo.